Learning songs is a deceptive skill. Once we start to have some familiarity with a composition, we start to believe we know it better then we really do. Often when we need to recall a tune, we end up with some missing spaces. Have you ever noticed that you can remember every lyric to some songs as it’s playing? But, you can’t recite the solo? Learning songs is a required skill for musicians. For serious players, it may be required to attain a level of learning a song on one or two listens. One could say that just learning thousands of songs can get you there. It can in some ways. But, there are other tips to help speed this process up along with the “10,000 Hours” method. You see, it’s not just about volume. Concentration and awareness are arguably more important in your progress. I realized I was learning songs partly by feel. I wasn’t solidifying the details in my mind. Details could be a real deal breaker. 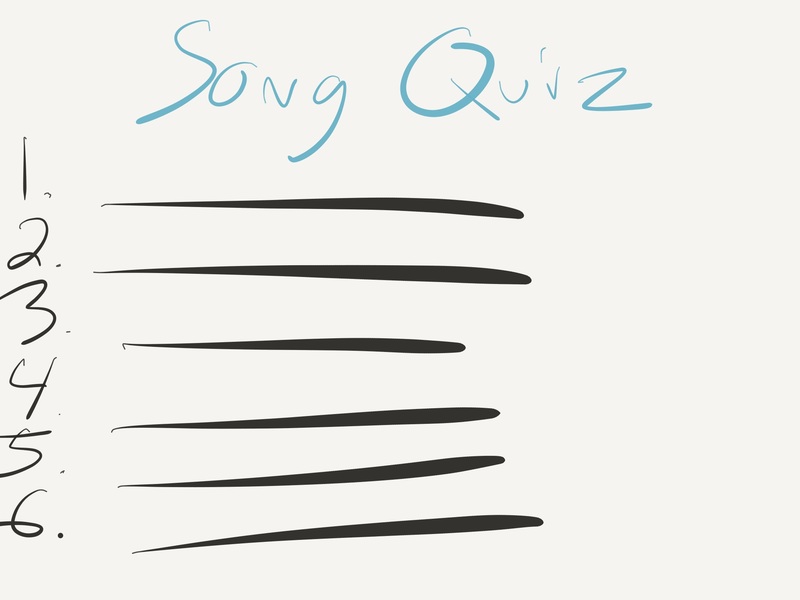 As I got more experienced, I realized that asking myself a series of questions after learning a song could really help me solidify the information. There are many details that are important to know in a song. I’m going to place each of these details in the form of a question and discuss it’s relevance. These are not in order of importance. 1: What Key is the song in? It’s always good to know what key signature you’re playing in. What happens if you’re onstage and a section needs to be extended? You might need to improvise. Do you know how to navigate that key? 2: How would I solo over this? Even if a song doesn’t have a solo on it, I take a moment to devise a simple solo plan if it comes up. As an example: I may note in my mind that the major pentatonic scale sounds good over that progression. It’s a little heads up so I don’t get the deer in headlights look if a solo gets thrown to me. 3: What time signature is the song in? You should always know if you’re playing in 4/4, 3/4, 6/8 or whatever signature a song is in. You should also have you’re inner clock tuned into this before someone counts in. Be on the grid mentally. 4: What is the form of the song? In a lot of ways, this is the most important and challenging series of questions. A great form player is always going to get more work then a great chops player. You need to be able to run a whole song and not only remember parts, but order of sections and dynamics. 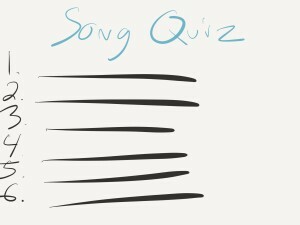 These are the questions I go back and ask myself multiple times throughout a day of learning songs. If you say “I don’t know” to any of these questions, you need to revisit and fill in the blanks. The biggest mistake I see in musicians (including myself) is in regards to song form. 5: Are there any breaks? Nailing breaks can make a band sound super tight. There isn’t a midway point. If a song has breaks, you need to know about them. I will not only ask myself if there are breaks, but what and when those breaks are. There’s a chance breaks may be different in each section of a song. That’s clearly something you need clarified in your mind before the gig. 6: What is the ending? You don’t want to get to through a perfect performance of a song just to blow the ending do you? Endings are important. You gotta button it up. You will impress many if your endings are wrapped up neatly. Always know your ending cue. 7: How many measures are in a progression? Is the verse progression a 4 bar loop or a 2 bar loop? You should have an awareness of not only how many times a progression loops in a section, but how long the loop is. This will help you in clarifying the form. For instance, verse 1 may loop 8 times where verse 2 only loops for 4 times. Valuable information here. 8: What are the dynamics? Nailing dynamics will score you major points on a session or gig. This questionnaire should follow suit with the form. What are the dynamics for the intro? What about the verse? Are the dynamics in the bridge louder? If you can answer this question for each section, you’re in solid shape. You notice that most of these questions don’t involve playing your instrument. A lot of musicians tend to practice songs from a physical perspective. Nailing the physicality of a composition is obviously important. But sometimes, this overshadows the psychological elements that also need a spotlight. I tend to quiz myself when not with my instrument. You can learn the song and all its parts. Then step away. Go for a walk. Get a drink of water. Now, fill out your mental quiz. If you can answer it while being away from your instrument, things are looking good for you. You can work on some of these skills while on the go. Load a few songs into your iPod. Listen to each song once and answer as many questions as you can while away from your instrument. You may be able to easily answer all form, meter and measure questions. You may only be able to answer a few questions at first. Don’t get discouraged. It’s better for progress to be slow and steady then fast and fading.